Stay in your standard Salesforce storage quota to avoid additional costs and increase business productivity & compliance with advanced ingestion, OCR, classification, metadata and records management, workflow features doubled by the best user experience. Move your corporate records held in multiple software systems to one integrated repository, offloading transactional applications of unstructured content burden. Salesforce content can be managed and utilized as part of the unified information governance strategy. 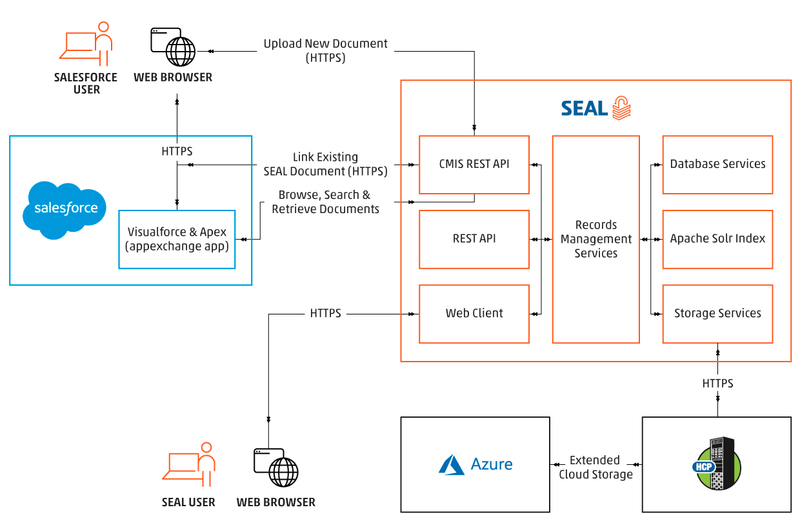 Azure Content Offloading for Salesforce enables users to access SEAL’s extensive set of advanced metadata and records management features and a global coverage with the power of Azure. Increase collaboration efficiency with third parties due to time-boxed security while keeping information control.